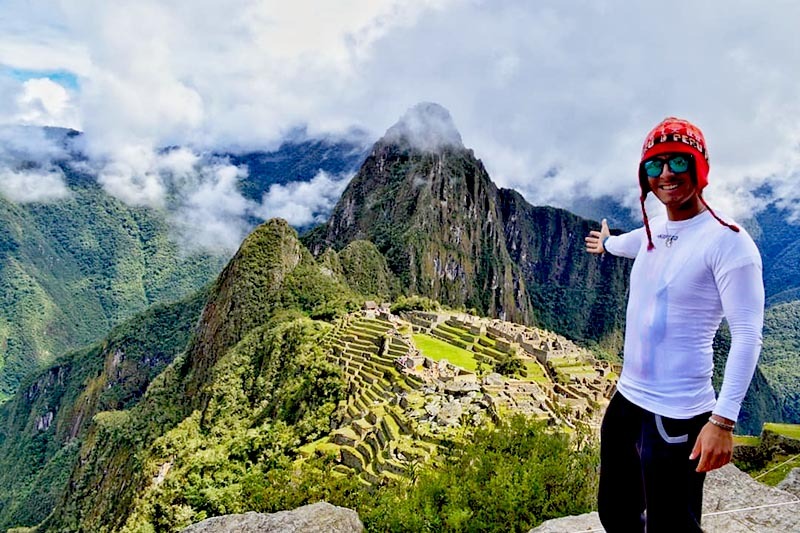 Entrance Machu Picchu 2019: How to buy in advance? How to buy the entrance Machu Picchu 2019 in advance? Problems to buy the Machu Picchu ticket for 2019? To purchase the ticket you must make the reservation online from mid-December 2018. This is because the purchase of the ticket on the official website is only available on that date. Learn how to ensure your visit to Machu Picchu 2019 in advance. How to buy the entrance Machu Picchu 2019? Since when is it possible to buy tickets Machu Picchu 2019? How long in advance should you buy the ticket Machu Picchu 2019? Since when to buy the ticket to the Inca Trail 2019? Since when to buy the train ticket to Machu Picchu 2019? Since when do you buy the bus ticket to Machu Picchu 2019? When is the best time to visit Machu Picchu in 2019? When does Machu Picchu close in 2019? When to buy the entrance Huayna Picchu 2019? How much does the Machu Picchu 2019 ticket cost? Is it possible to secure the entrance to Machu Picchu 2019 before December? The entrances to Machu Picchu for 2019 are only available from mid-2018. In 2019, there are 4 types of tickets Machu Picchu. All include a visit to the Inca City and all its archaeological sites. Includes a visit to the Inca City of Machu Picchu. Includes a visit to the Inca City and the Huayna Picchu mountain ..
Includes a visit to the Inca City and the Machu Picchu mountain. Some tourism agencies also include a ticket that includes a visit to the Machu Picchu Site Museum. Includes a visit to the Inca City and the Manuel Chávez Ballón Site Museum ..
Museum hours of operation: from 9 a.m. to 4.30 p.m.
You can buy the entrance Machu Picchu online or in person in Cusco. Today, the majority of visitors from all over the world do so through the web. On the internet, there are two ways to buy the ticket Machu Picchu: on the official website of the Ministry of Culture of Peru or at an authorized tourism agency. Enter the official website or an authorized tourism agency. Choose the type of ticket as well as the date and time of entry of your preference. Check if there is availability. Complete the information requested with your personal data: names, age, type and identity document number (or passport), etc. Make the payment of the entrance Machu Picchu. Print the tickets you will receive in your email. Tourism agencies need a digital copy of their passport, identity document or university card to purchase the ticket Machu Picchu online. The official website of the Ministry of Culture of Peru only allows the purchase of the Machu Picchu entrance until December 31, 2018. The only way to secure the ticket Machu Picchu 2019 is to wait until mid-December 2018, the date on which the official website allows the purchase. On many occasions, on that date, only the purchase of the ticket Machu Picchu for January was opened. Visitors looking for a ticket for February, March or the incoming months; They must wait until the middle or end of January. Tourists who wish to visit Machu Picchu in 2019, must purchase their tickets in advance. Especially if you want to make your visit during the high season of tourism (from April to October). Entrance Machu Picchu Only : 3 weeks before. Entrance Machu Picchu + Huayna Picchu : 3 months before. Entrance Machu Picchu + Mountain : 3 weeks before. Entrance Machu Picchu + Museum : 3 weeks before. The ticket Machu Picchu + Huayna Picchu is the most difficult to get. To ensure your visit in January, February or March 2019, tourists must be among the first to enter the official website and buy the tickets. The official website of the Ministry of Culture of Peru does not accept the purchase of the ticket Machu Picchu at a discount for university students and minors. Entrance tickets to the Inca Trail 2019 begin in October 2018. The demand for tickets is so much in demand that tickets are sold out in a matter of days. Unlike tickets to the Inca Trail and Machu Picchu; train tickets 2019 can be purchased in any month of 2018. It is recommended to do it in advance. Bus tickets are only available until the whole 2018. At the end of the year, the purchase of bus tickets for 2019 will be reopened. The dry season (April to October) is the best time to visit Machu Picchu in 2019. In those months, the climate is warm and ideal to tour the Inca City or to make excursions. Machu Picchu does not close any day of 2019. The hours of operation are from Monday to Sunday from 6 am to 5.30 pm. The ticket Machu Picchu + Huayna Picchu is in greater demand than the other tickets. It is recommended to buy it 3 months in advance. If you want to visit in January, February or March of 2019, it is advisable to be among the first to buy them in December 2018. The price of the Ticket Machu Picchu 2019 is the same as in 2018. No. Unfortunately, the Ministry of Culture of Peru, entity in charge of issuing tickets to Machu Picchu, only allow the purchase since December 2018.